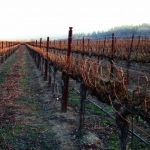 The seemingly basic task of pruning is actually one of the most important – determining the yield, spacing, even the quality of the next vintage. 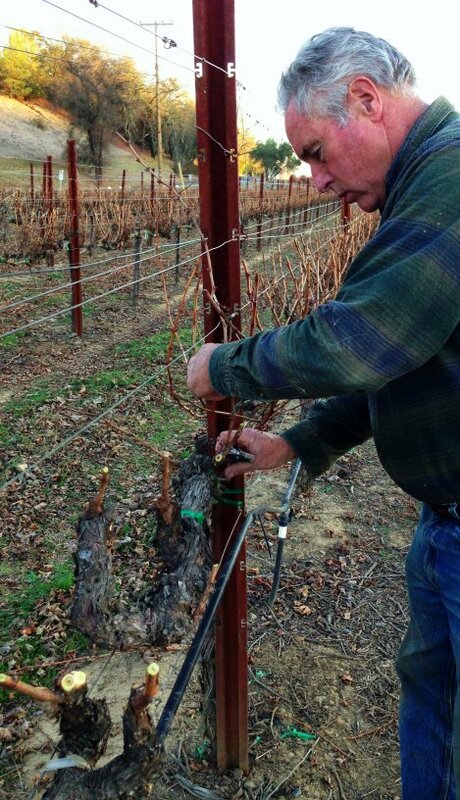 Since November, our crew has been hard at work cutting back last year’s canes. 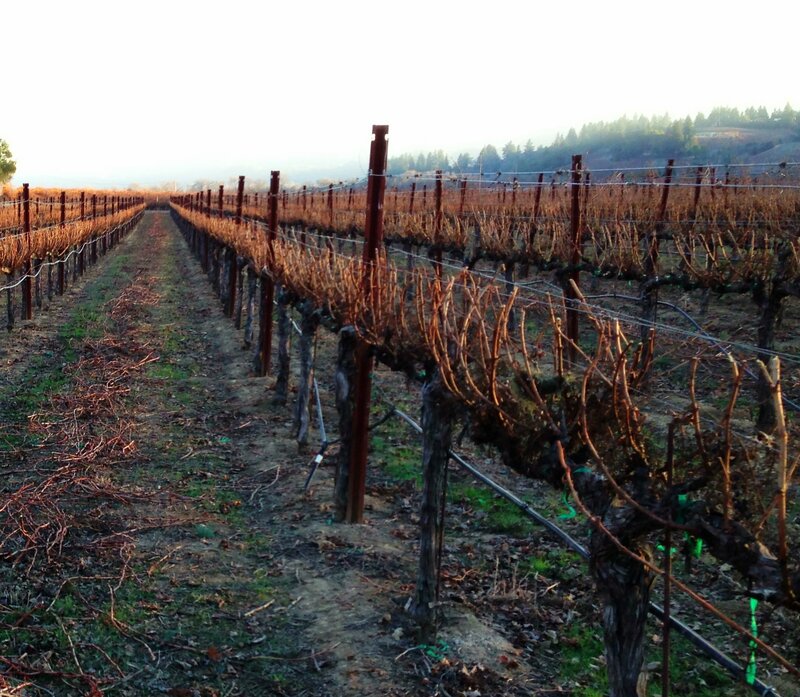 These are a few shots of our last Cabernet block (Clone 4) to get the shear treatment. 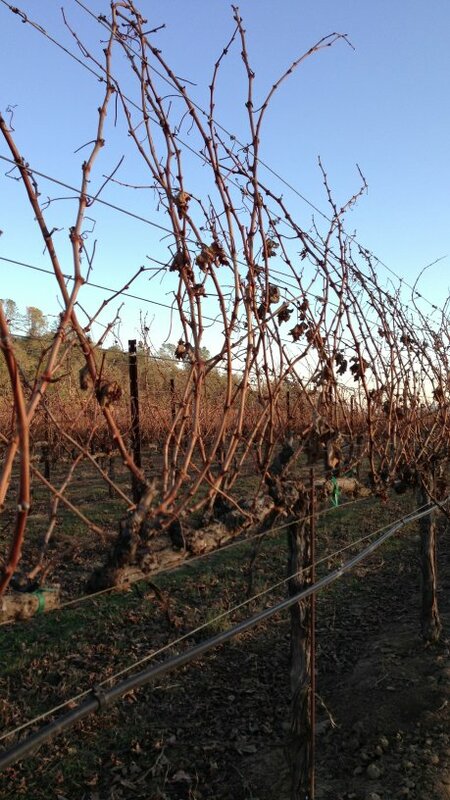 The vines in their dormant stage. 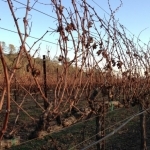 Once the leaves fall, pruning can get underway. 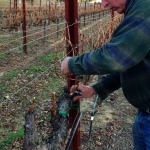 We prune in stages, first removing the top half of the canes, which sometimes involves wresting the canes off of the trellis wire. Brian making the final cut.